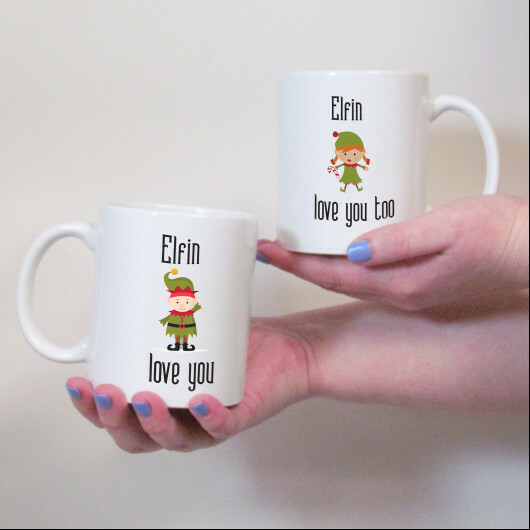 Do you have someone you Elfin Love?! Perfect for your other half or as a treat for your parner. Get in the Christmas spirit today! A mug set for a perfect couple to get into the festive spirit, makes a great gift for a newlyweds first christmas or a couple in their new home. 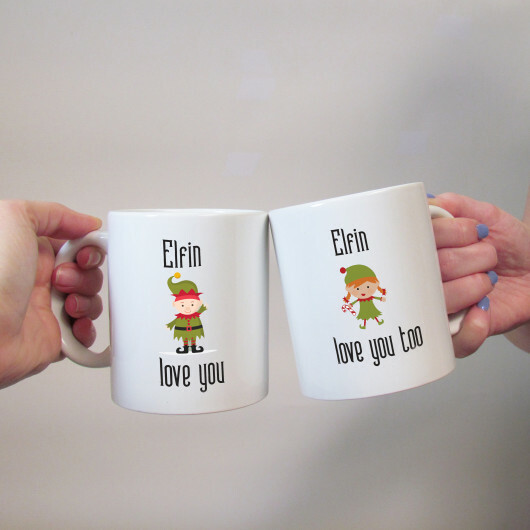 The mugs feature an Elfin Love You, Elfin Love You Too design with the addition of a him and her elf. Made from White Ceramic, and are dishwasher safe.